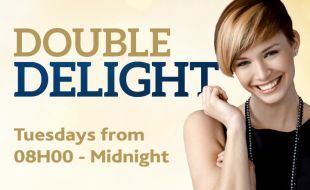 Play Slots or Tables and earn double points every Tuesdays between 08h00 and midnight. Don’t have a Rewards card yet? Join our Rewards Programme at the Customer Service Desk and unleash a world of entertainment benefits. Signing up is completely free! Remember to bring your ID (smart ID card, green ID book, driver’s licence or passport). Participants earn points by playing Slots and/or Tables whilst using the Hemingway’s Rewards cards. No double points will be rewarded for playing with FreePlay. Only points earned from CASH play will be doubled, the points are based on cash-buy ins on both Slots and Tables games. Doubling times and dates will be advertised through advertising mediums used for this promotion. Prizes are not transferrable from one patron another but can be exchanged for FreePlay and Food & Beverage vouchers.